from the thin places between one world and another. I invite you to dream on purpose to manifest health, wealth & relationships. Think of the phrase ‘the man of my dreams’ or ‘my worst nightmare’, the truth about dreams is right in our face, hidden in our language. You are litterally just one dream away from ‘your dreams’. I’m here to meet you, soul to soul, and take you on a journey. I will get you grounded in your own body and lead you to your divine power and intuition. Get ready for a radical shift in your life as we build a powerful foundation for rapid growth and self love. Designed for you to recognize the source of your power & connect with the thin places between worlds. Open the floodgates of your intuition, reclaim your extra sensory abilities & become your own oracle. Learning about your past lives is an amazing tool to better understand who you are and the relationship dynamics you may encounter. It can help provide answers about physical ailments and make you feel less crazy about obsessions and desires. This magical object has powerful metaphysical properties and may be the most powerful instrument of Divination ever created! It is a reflection of the void and knows no boundaries or limitations. It will shine light on your inner demons and darkest truths. Discover why understanding your dreams is the most important thing you can do while awake. I want you to for a minute forget everything you think you know about dreaming. As you’re reading this blog, I want you to consider that dreams could be so much more than just a peep into your subconscious. Have you ever found yourself asking the universe or God for a sign if you were supposed to do X Y or Z? While deep down inside you already knew what you really wanted but you just wanted to be SURE.. Because what if you were wrong? May you unapologetically listen to the part of you that transcends logic! Dream Alchemist and Magic Weaver. I truly believe that the best way to fully embody who we are is to awaken the sacred medicine within. Our intuitive abilities are connected to the pure wisdom of the heart - the most powerful force of guidance we have which is why reclaiming your extra sensory abilities will unleash the Magic in YOU. I help women unapologetically listening to the part of them that transcends logic — the part that just KNOWS things and lead from this place. Now it's your turn! Reconnect with your intuition and let it guide your way. I talk a lot about the divine feminine & leading from a place of intuition..
and these aren’t things we can think our way around. They have to be felt and experienceD. Which is why I created this retreat experience. Designed to help you recognize the source of your power, open the floodgates of your intuition - the very core of your divine feminine essence. 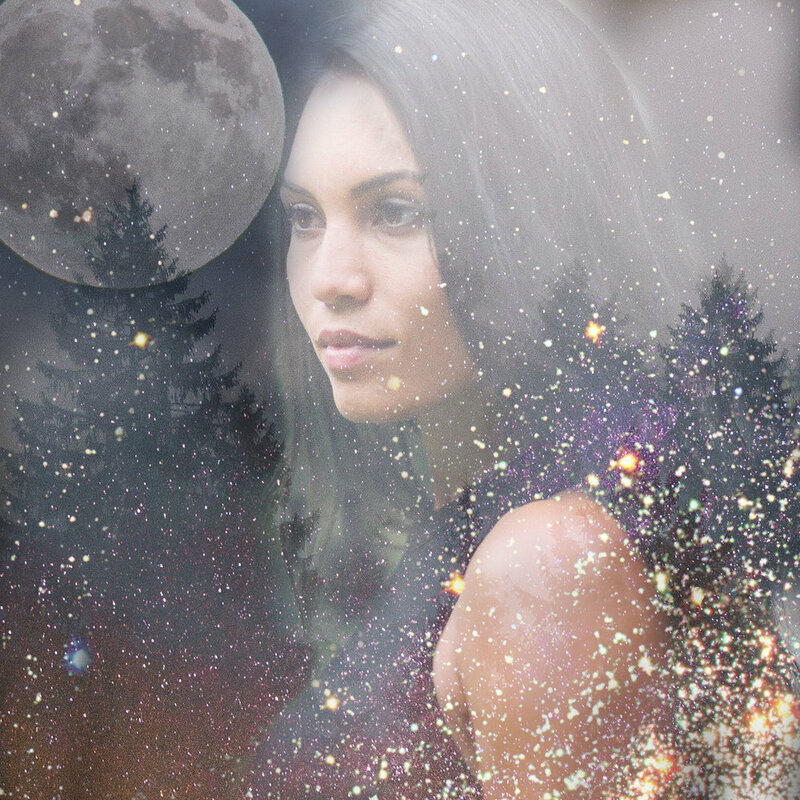 A 4 day - 3 night intimate and mystical (woman only) experience, packed with all things extra sensory to empower you with the tools to navigate this earthly realm and the worlds in between in the most fulfilling way possible. EXPECT A COMBINATION OF THEORY AND HANDS ON EXERCISES FOR A MAGICAL & MIND BENDING EXPERIENCE.